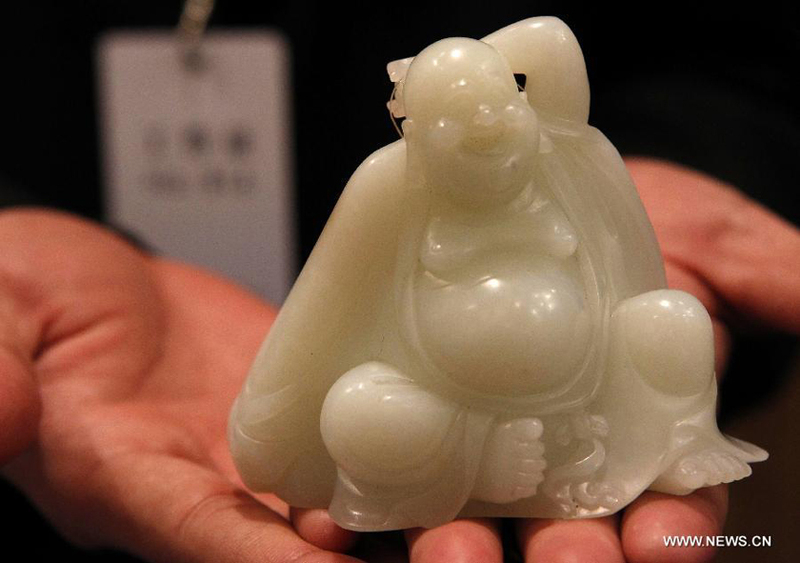 Photo taken on March 21, 2012 shows a jade buddha figurine displayed during the preview of the 29th China Guardian Quarterly Auction in Beijing. The three-day quarterly auction will kick off in Beijing on March 24, following a three-day preview that started on Wednesday. The preview exhibits some 2,600 Chinese painting and calligraphy works, 1,800 pieces of chinaware, furniture and craftwork, as well as 680 rare books and manuscripts.